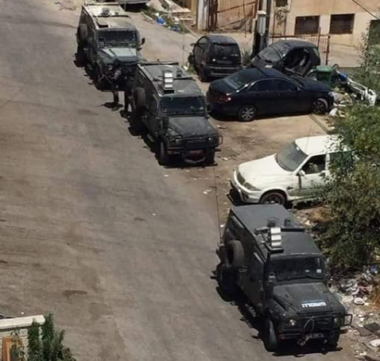 Several Israeli army jeeps invaded, on Friday evening, the town of Betunia, west of the central West Bank city of Ramallah, and fired gas bombs and concussion grenades. Ribhi Doula, the head of Betunia town council, said the soldiers invaded the town, and stationed their jeeps right near the town council building. He added that several Palestinians protested the invasion, before the soldiers started firing gas bombs and concussion grenades at them, and later withdrew from the town. There have been no reports of injuries or abductions.